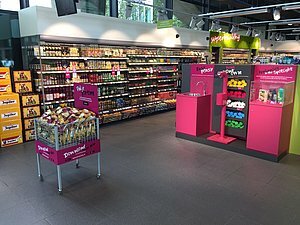 Spar University is the ‘neighborhood shop’ where students and employees can do their everyday shopping and find ready-made meals, sandwiches, fresh juices and other fresh products. Everything is attuned to students’ special wishes. On August 21, 2017, the doors of SPAR University TU/e-Luna will be opened; this will be the second SPAR on the TU/e Campus! SPAR University organizes special and playful student actions. Look for more information on the Facebook page. Looking for a fun student job? Spar University is looking for students who are available at least 4 hours a week. Interested?